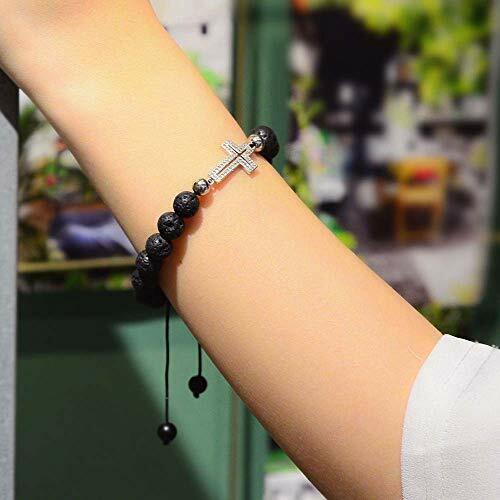 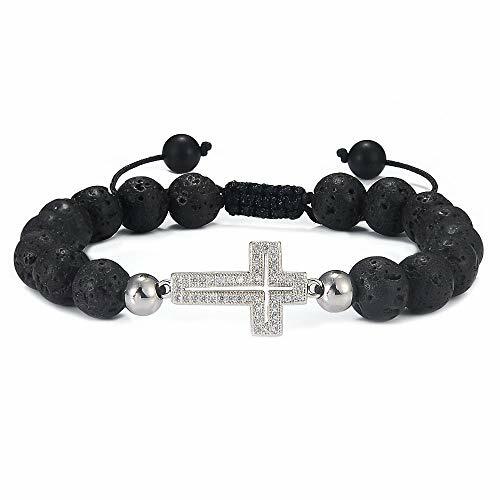 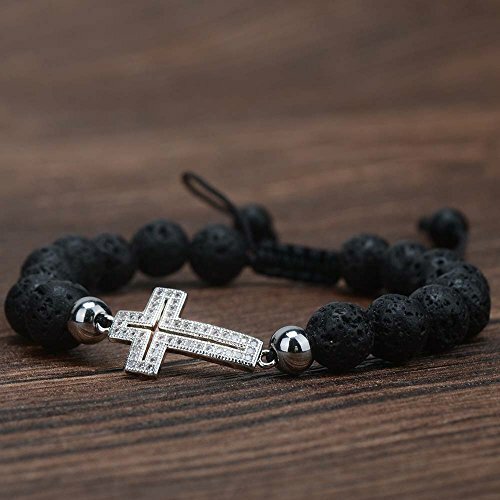 ♥UNIQUE DESIGN: This black beadded bracelet featuring a cross charm and natural lava beads. 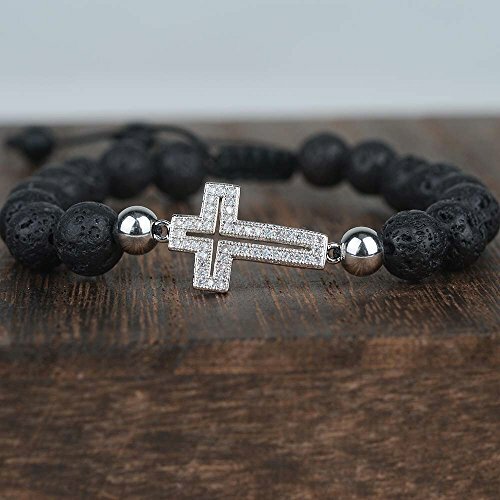 The lava rock stones can absorb your favorite essential oils,which will trap and diffuse the oil slowly. 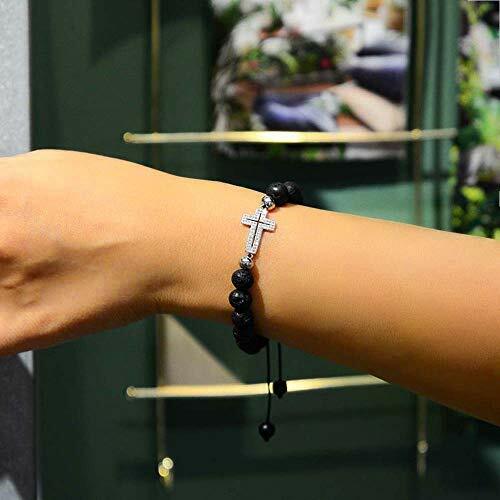 With this Fragrance Infusible Jewelry, you can feel fresh because of pricey fragrances. 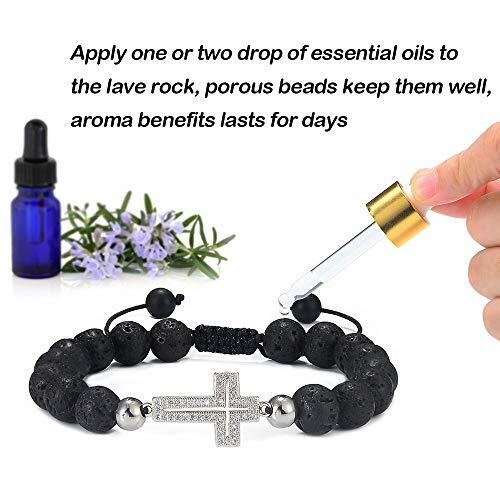 It last is approximately seven times longer than other fragrance.